The weather is warming up and blue skies are becoming more and more frequent. 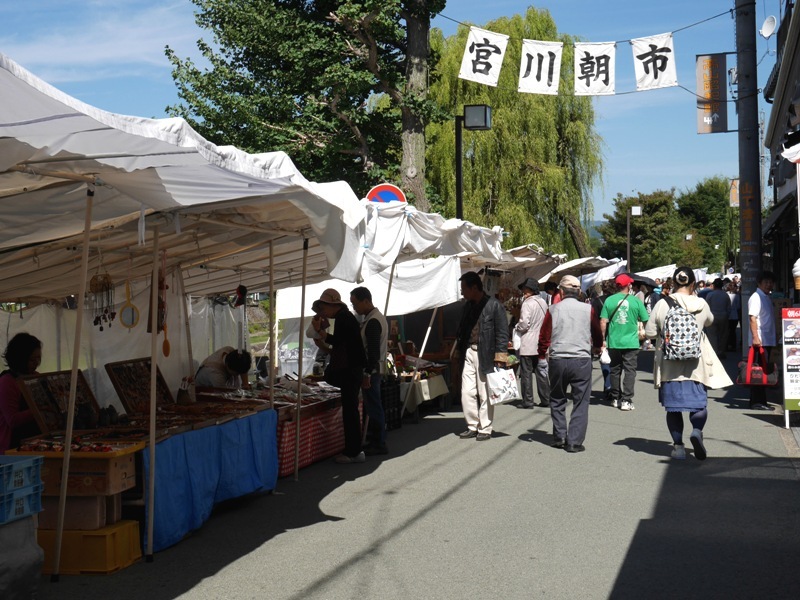 This is the perfect time to enjoy the markets that are held in Takayama and Gero. Community markets are just one of the distinct characteristics of the Hida region that you will rarely see in other parts of the country. At these markets, local farmers and craftsmen set up their booths to sell products varying from food and drink (vegetables, honey, apple juice, etc. ), to handmade crafts and clothes. These markets aren’t just put on to attract tourists; if you go you will see an even mix of both locals and visitors. 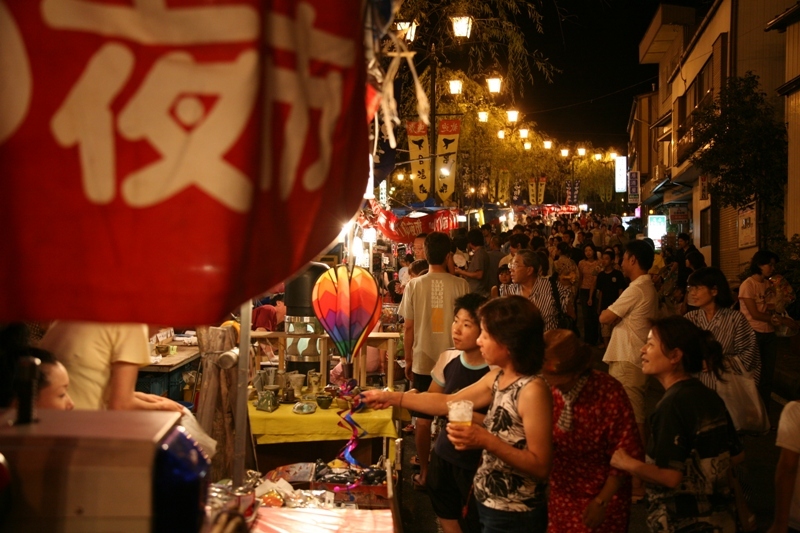 The number of market booths will vary from day to day, and while most of the markets themselves won’t be canceled due to bad weather (except the Ideyu Evening Market), you can expect less participation from sellers. 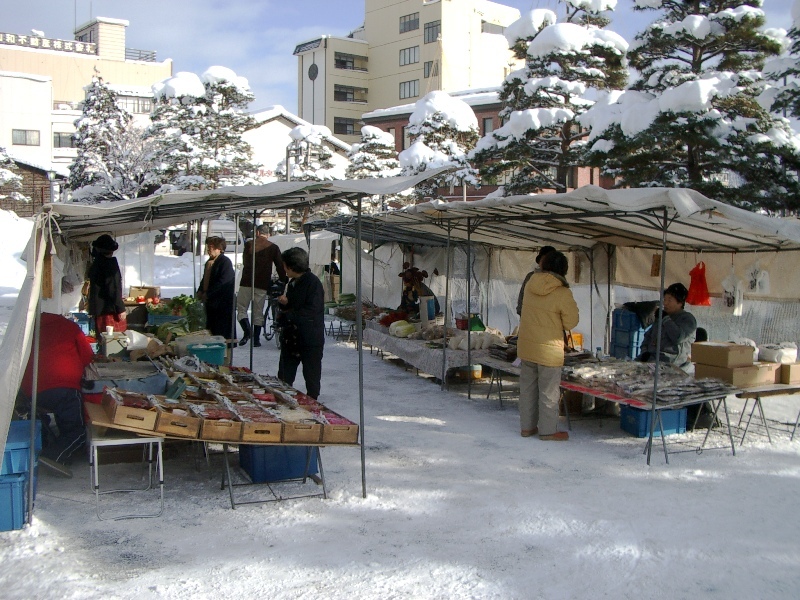 There are currently two morning markets in Takayama that are put on every day: the Miyagawa Morning Market, and the Jinya Plaza Morning Market. 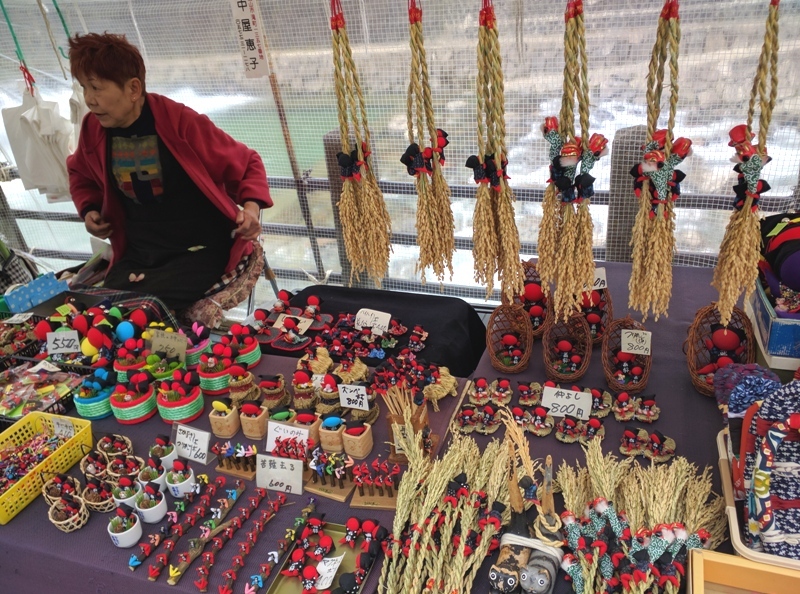 These markets can be traced back to the Edo period, when mainly rice and flowers were sold. After the establishment of these first markets, the farmers started to bring fruits and vegetables, and it eventually grew in scale and diversity into what it has become today. 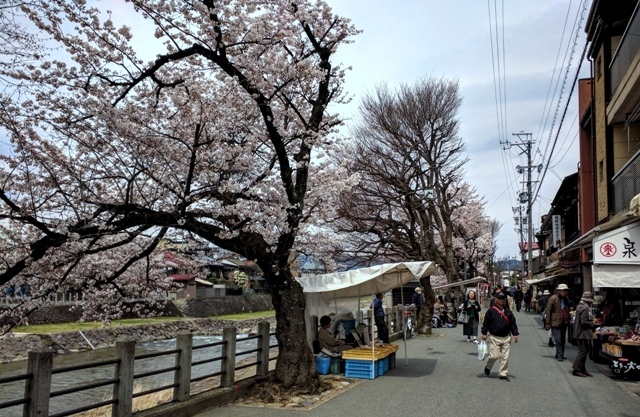 【Miyagawa Market Location】In between the Yayoibashi Bridge and Kajibashi Bridge along the Miyagawa River on the same side as the Old Quarter, a 15-minute walk from JR Takayama Station. 【Jinya Plaza Market Location】In front of the Takayama Jinya, a 15-minute walk from JR Takayama Station. 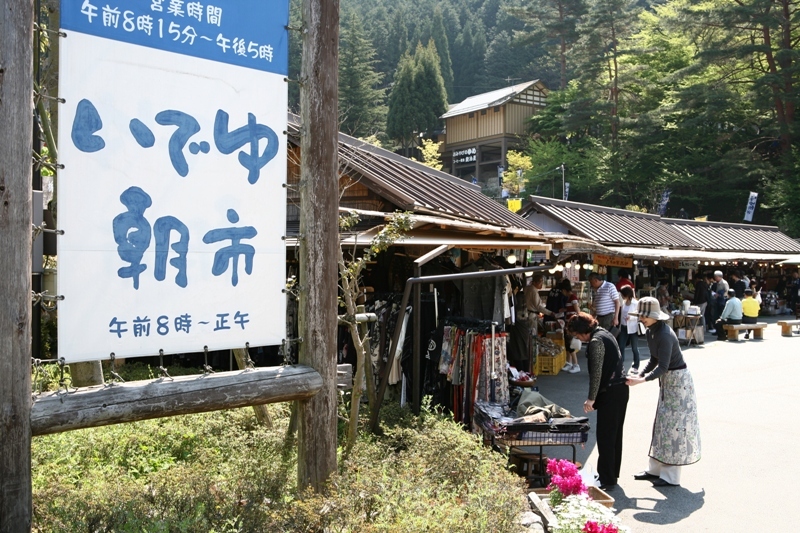 At these markets you can purchase local produce and sake while enjoying the unique atmosphere of the Gero Hot Spring Village. Food stalls, or yatai in Japanese, ensure that you won’t leave with an empty stomach. 【Location】Along the sides of the Atano River canal going through the central Gero Hot Springs District, near the Gero Onsen Shrine. 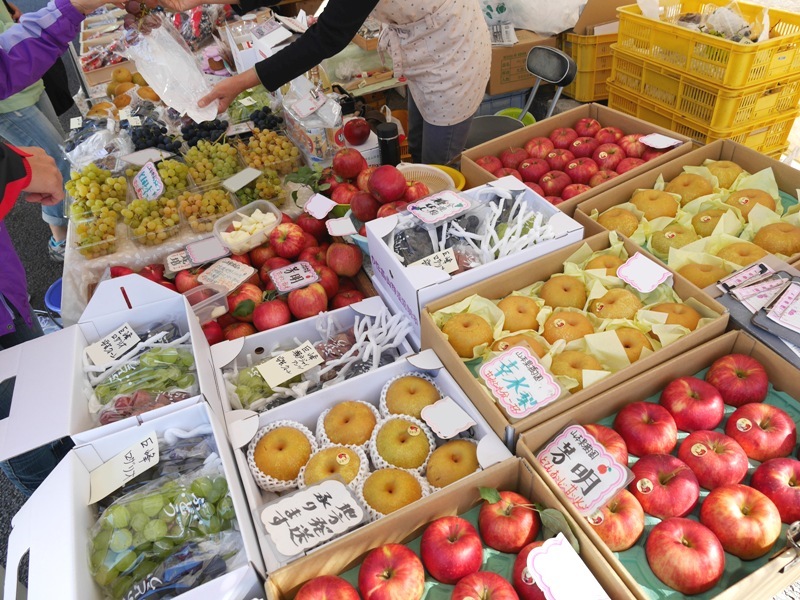 These types of markets are rare in Japan, so make sure to visit them if you have the chance. Not only can you buy traditional hand-crafted goods and merchandise, it is also a good opportunity to interact with local Japanese people.